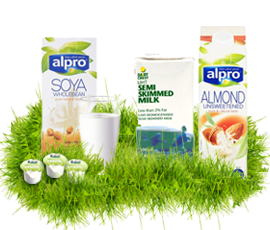 We supply a wide range of wholesale milk for business and trade - milk suppliers providing long life semi-skimmed and whole milk portions, Millac Maid extra long life portions for both tea and coffee, UHT cartons, Coffee Mate powder and even Alpro Soya milk in original and unsweetened. We carry a large stock of wholesale milk supplies ready to buy for next day delivery to your business. 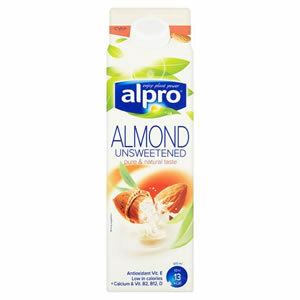 Ideal for the office, this UHT treated milk doesn’t need to refrigerated until it’s been opened. 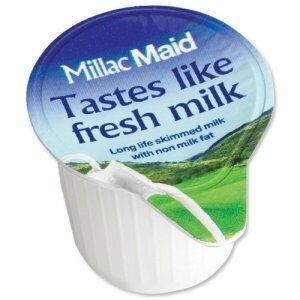 UHT milks have a longer shelf life as a result of the higher temperatures to which they are heated and the packaging used to store them, this also means that they do not refrigeration. 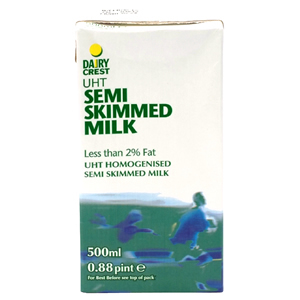 Semi skimmed milk is the most popular type of milk in the UK with roughly half the fat content compared to whole standardised milk. 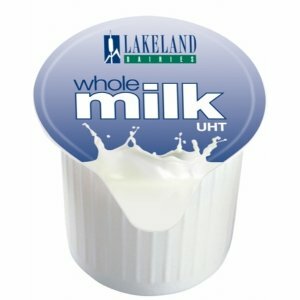 UHT milks have a longer shelf life as a result of the higher temperatures to which they are heated and the packaging used to store them, this also means that they do not need refrigeration. 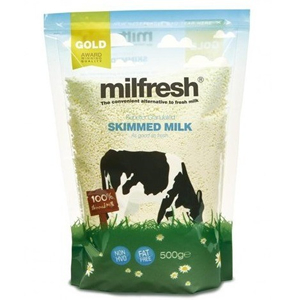 Semi skimmed milk is the most popular type of milk in the UK with a fat content of 1.7%, compared to a minimum of 3.5% in whole standardised milk and 0.1% in skimmed milk. 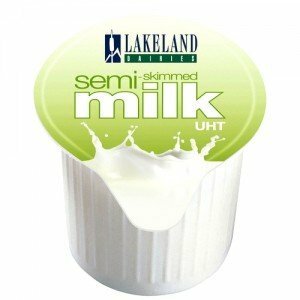 UHT milks have a longer shelf life as a result of the higher temperatures to which they are heated and the packaging used to store them, this also means that they do not require refrigeration. These whole milk portions have a fat content at least 3.5%. This HVO free Skimmed Milk is virtually fat free and makes superb cappuccino and latte with a thick, creamy head. The natural taste also makes it ideal for tea and coffee. 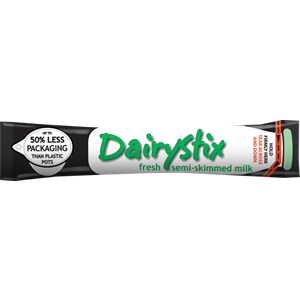 The original rich and deliciously creamy non-dairy whitener. Perfect anytime you want to enjoy a velvety-smooth cup of coffee. 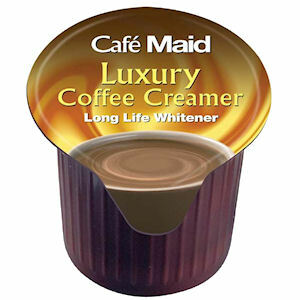 Luxury coffee creamer that brings out the full flavour of coffee. Each single serve pot is easy to peel & pour. 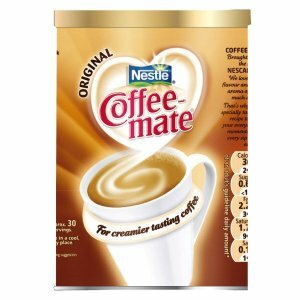 Café Maid is made from a blend of glucose, vegetable oil and milk protein so is long life and requires no refrigeration. Suitable for vegetarians and is gluten and GM free. Tastes like fresh milk but without the need for refrigeration. Each single serve pot is easy to peel & pour. 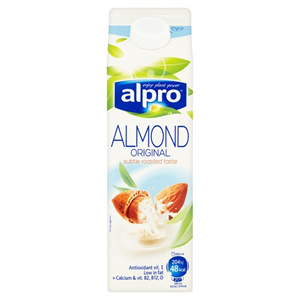 This long-life skimmed milk with non-milk fat is GM and gluten free & suitable for vegetarians.